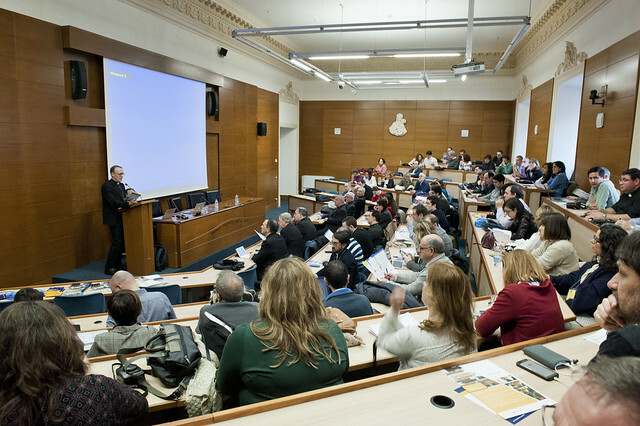 On Tuesday, January 30, 2018, the University hosted a working session of the Assembly of diocesan delegates of the media of Spain, which took place this year in Rome. 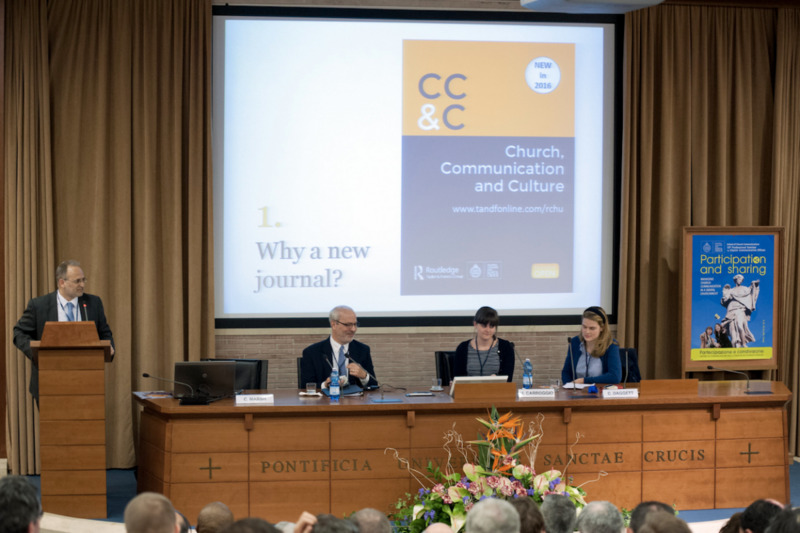 Professors Juan Narbona, Jordi Pujol and Manuel Sánchez, of the School of Church Communications, offered some keys for reading the Church in the current era. Among those present, some Bishops of Spain and alumni of the School of Church Communications. 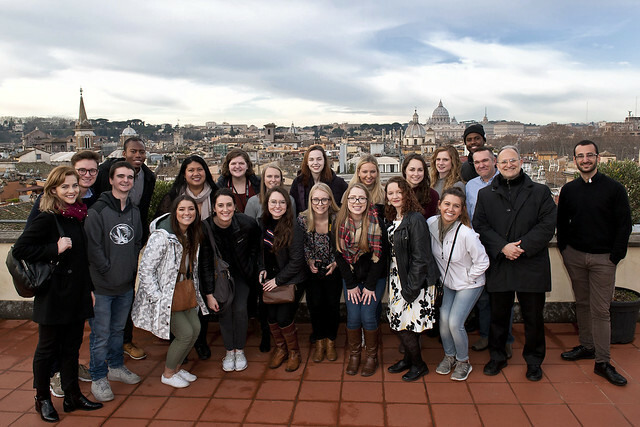 Students from the University of Missouri-Columbia's School of Journalism were hosted by the School of Church Communications, on the Roman stop of their "Europe Tour 2018." In addition to the University, they visited St. Peter's Basilica, and the Vatican Museums. Tuesday, October 3, 2017, the Inauguration Ceremony opening the 2017/2018 Academic Year took place. The traditional votive Mass of the Holy Spirit was held in Sant'Apollinare Basilica. The Holy Mass was presided by the Grand Chancellor of the University, Mons. Fernando Ocáriz, and con-celebrated by clergy from the different faculties. In Aula Magna 'Giovanni Paolo II', the Solemn Academic Act took place. Rev. Prof. Héctor Franceschi, from the School of Canon Law, gave the inaugural speech on the theme Why marry? Reflections on marriage in current culture.